Guiding Lights exhibition at Greenwich’s National Maritime Museum marks the 500th anniversary of Trinity House. The Corporation of Trinity House, first recognised by Henry VIII on 20 May 1514, looks after our lighthouses and buoys. It had started in March 1513 in nearby Deptford where mariners were unhappy about unregulated and unreliable pilots in the Thames estuary. The only disappointment is that the exhibition fails to say much about the beginning and where in Deptford could be found the fraternity’s great hall and almshouses. Trinity House is now based on Tower Hill in central London and at Harwich. 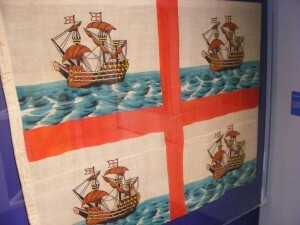 But this display is an opportunity to see around 70 rarely seen objects from Trinity House and the NMM’s own collection. The exhibition is open 10am-5pm daily until Sunday 4 January; admission free to both museum and Guiding Lights.